This spring there’s plenty to see and do in the Riviera Nayarit, one of the destinations with the most events held practically year round with something for everyone. Keep an eye on our calendar for new events, but in the meantime, here’s a list of what’s up for April. 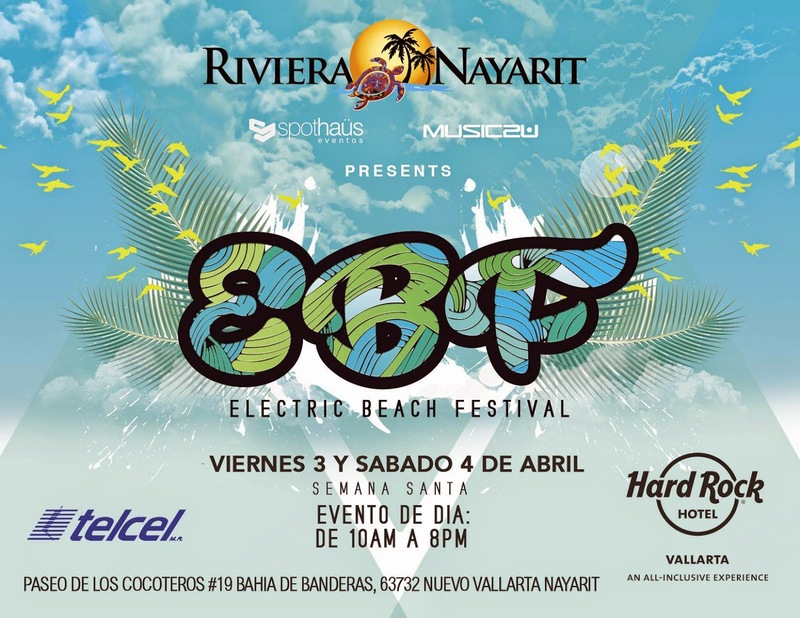 The Electric Beach Party will be held on April 3-4 at the Hard Rock Hotel in Nuevo Vallarta. This event will have plenty of good beats, sun, sand, fun, guys and gals ready to enjoy themselves to the fullest from 10 a.m. to 8 p.m. Wanna join? Follow us on Facebook—we have tickets available, but only for 18 and older. The Salsa and Mambo Festival is from April 23-26. What started out as the best salsa festival in Mexico has now become a superb tradition on an international level where musicians from around the world come to delight visitors with their talent. Get ready to enjoy a BootCamp, Dance Competitions (Salsa, Bachata and Freestyle) as well as several Workshops—it's a “fabulicious” event you won’t want to miss! Come meet us at the Hotel Marival Resorts & Suites and Marival Residences. The Open Water Tournament will take place on April 25th. This event is open to all participants and will depart from the Marina Riviera Nayarit in La Cruz de Huanacaxtle. There will be 3- and 4-kilometer swims in the following categories: Child, Youth, Master, Special Needs and Professional. It’s definitely an event for the entire family to enjoy. The Gran Fondo Riviera Nayarit is slated for April 26th and it’s the first of its kind to be held in the Riviera Nayarit. Bikers will ride over 150 km for the Gran Fondo and 75 km for the Medio Fondo. The route will begin in Nuevo Vallarta and continue through Sayulita, Punta de Mita, La Cruz de Huanacaxtle, the beautiful scenery of the Fortuna de Vallejo and end in Bucerías. If you’d like to participate, please register at bicibucerias.com. The Punta Mita Gourmet & Golf Classic will be held April 30 – May 3. You’ll want to be present for this extraordinary event for an exceptional mix of Golf, Gastronomy and Wine to be shared in exceptional company, including celebrities such as Lorena Ochoa, Fernando Trocca, Antonio de Livier, Abraham Salum, Monse Estruch and Thierry Blouet. Lorena Ochoa will also be holding Golf Clinics plus guests will be able to vie for The Punta Mita Cup, enjoy cooking classes hosted by the guest chefs, tastings, brunches, The Punta Mita Grand Tasting and the Catch of the Day, which consists of a fishing trip followed by the catch cooked by one of the guest chefs. It’s an event no self-respecting gourmand will want to miss. Stay updated: Don’t forget to follow us on our social media and, if you enjoyed this newsletter, share it with your friends and colleagues!